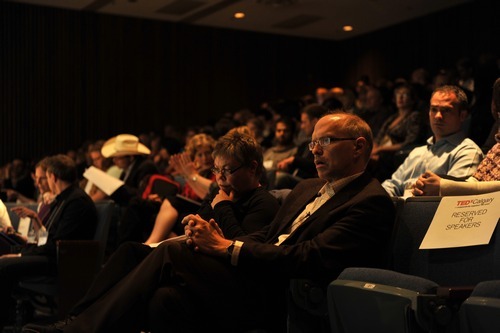 This time last week, TEDxCalgary was less than 24 hours away and our team was hard at work with last-minute tasks. Our speakers were ready, and were arriving for their rehearsals at the venue. Around them, our creative team was setting up lighting, sound, and cameras. The logistics team was doing final checks on name badges, catering, and the sundry other details that go into hosting a day like this. The people we do this for, our participants… what were they doing? We would hope that many were waiting with great anticipation for the next day’s event. What were they (you, if you were one!) thinking and doing in that 24 hours before? The passion of ideas propels our team to expend their energies in this way. Rather than be passive about the ideas, or the opportunity of TEDx, we have chosen to act on the inspiration of TED. We’re not paid, and not always applauded, but that’s not the part from which we derive our motivation to spend time away from other opportunities or even our families. Instead, we’re firm believers that ideas can help to change us. Not always right away, and not easily. But properly spread and cultivated, they can make a profound difference in the way we look at our world and how we each formulate our personal actions within it. The TED motto is “Ideas worth spreading”, which introduces an important qualitative dimension into the mix. It’s not JUST about ideas, but about finding those that matter. Our counterparts at TEDxAmsterdam have taken it an important step further with their own sub-motto of “Ideas worth doing”, calling on us not only to spread the ideas but be willing to roll up our sleeves and do something about them. 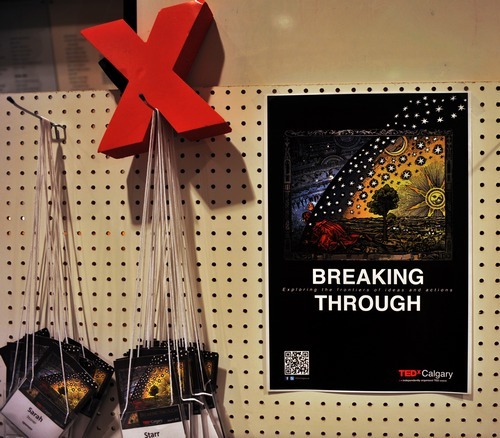 A week later, the buzz of the moment has worn off and we return to planning other things in our work and lives, and to setting up the year’s work for TEDxCalgary. Yet the passion for the ideas, the sharing, continues… and we hope that it does for you as well.